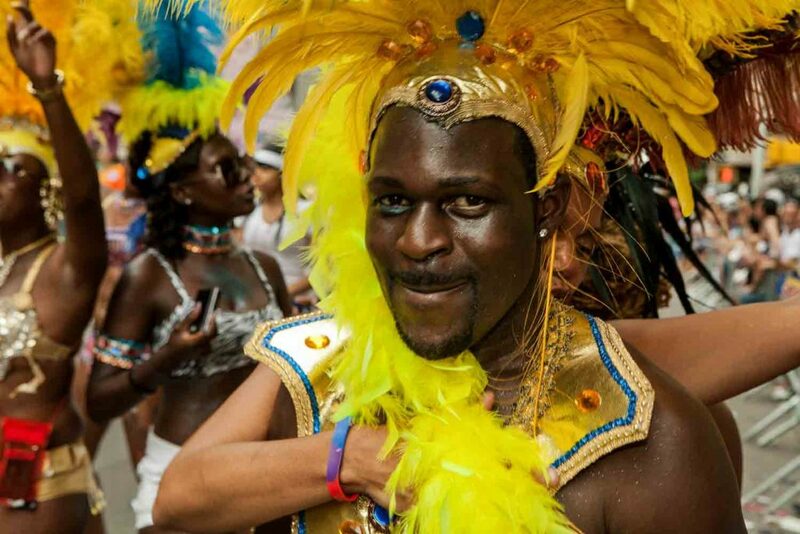 Caribbean performers in the 2011 Pride Parade on New York’s Fifth Avenue. One of the reasons I moved to New York is it’s cultural diversity. I know I’ve mentioned that previously, but here’s another example, another take. I grew up in a mixed neighborhood, and was taught by my parents to be respectful of everybody. This attitude led to some memorable culinary and cultural excursions over the years. So to further my cultural exposure, I went to shoot the 2011 Pride Parade, celebrating the LGBT community, in Manhattan. 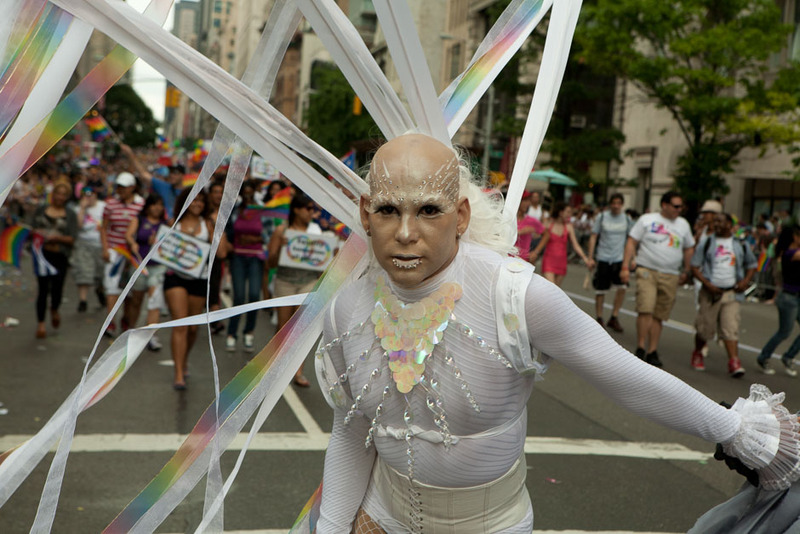 A performer from Translatina, a support group for transgenered Latinos, in the 2011 Pride Parade on New York’s Fifth Avenue. 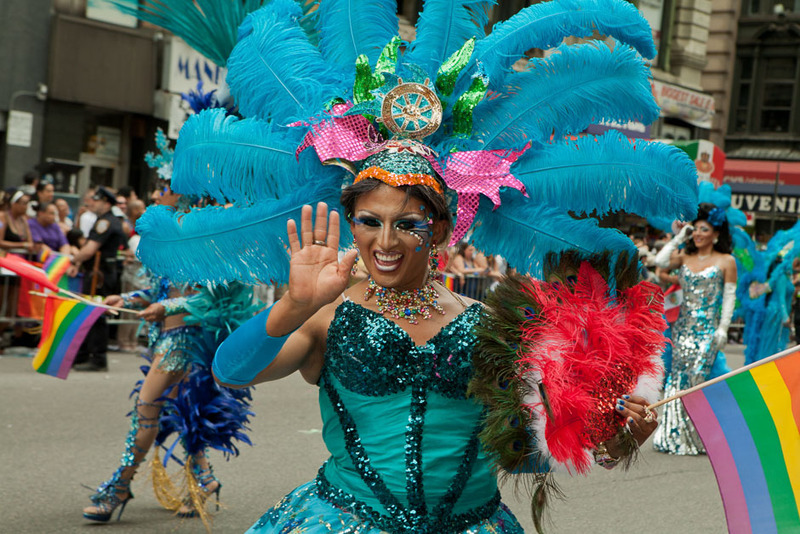 A feathered and costumed participant representing Gay Peruvians of the Americas, in the 2011 Pride Parade on New York’s Fifth Avenue. Since the parade came less than 2 days after New York legalized gay marriage, the parade was more celebratory than it otherwise would have been, and Governor Cuomo was roundly cheered for his work in pushing the bill through and into law. A few highlights here, and lots more photos of the 2011 Pride Parade in New York here. A flag performer in the 2011 Pride Parade on New York’s Fifth Avenue. 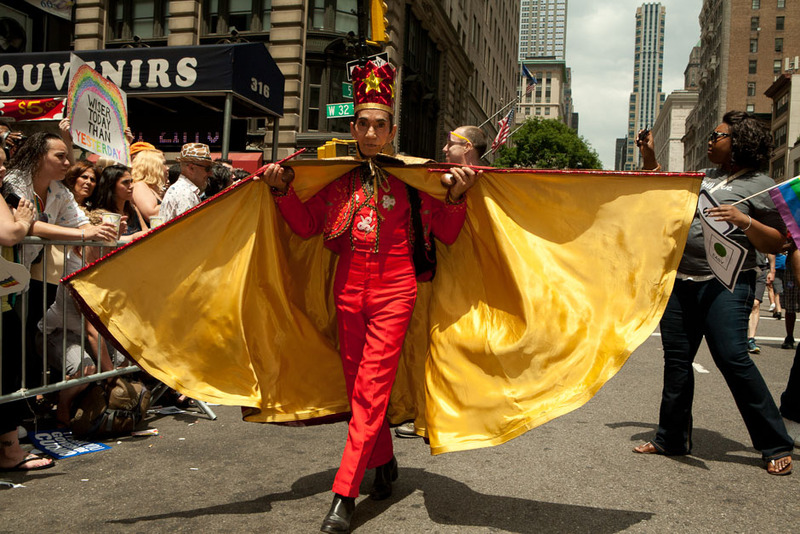 A costumed marcher in the 2011 Pride Parade on New York’s Fifth Avenue. A red-haired, horned participant in the 2011 Pride Parade on New York’s Fifth Avenue. More photos of the 2011 Pride Parade in New York here.